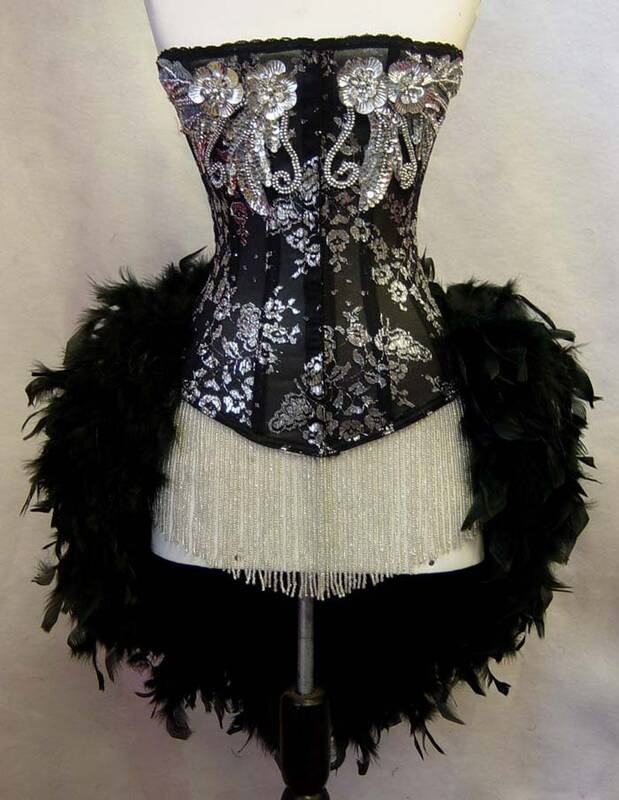 Elegant burlesque style costume made with Silver and black lace. Reinforced lining underneath. Accented with an elaborate Silver sequin and bead design. Bodice is boned with steel coil boning and hook and eye closure front and lace up back. 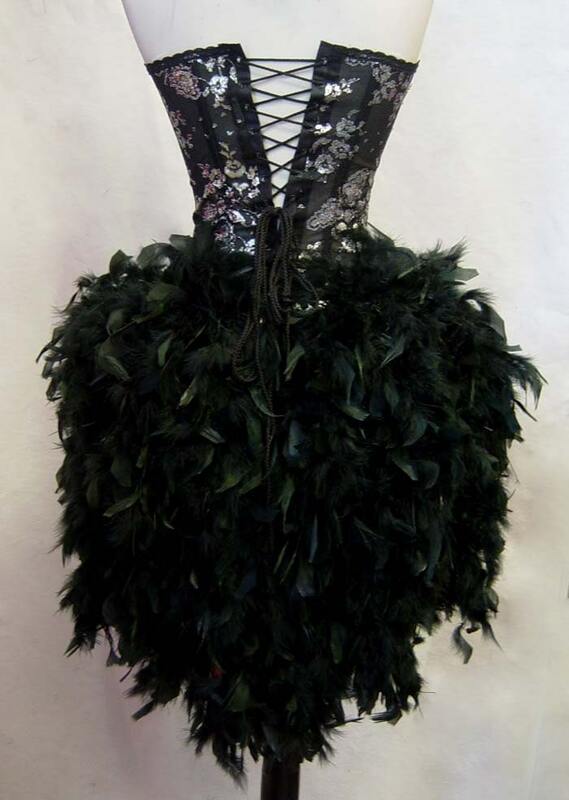 The train is made with heavy weight black feathers that taper in a V shape toward the back and 6" long silver glass seed beaded trim in the front. Please refer to sizing chart below. You will need to purchase some kind of garment to wear underneath. Choker is not included. On sale, only size XS left, I am retiring this design.